Have you ever wondered what pollinator-supporting plants you can add to your property ? Here’s an excellent and enjoyable way to find out. Funded by one of our Community IPM Grants, Cooperative Extension of Putnam County created the perfect example. While you can certainly stop in to visit, (Cornell Cooperative Extension of Putnam County, 1 Geneva Road, Brewster NY. ), here’s the next best thing. Or maybe it’s better because you can visit any time regardless of weather and distance! 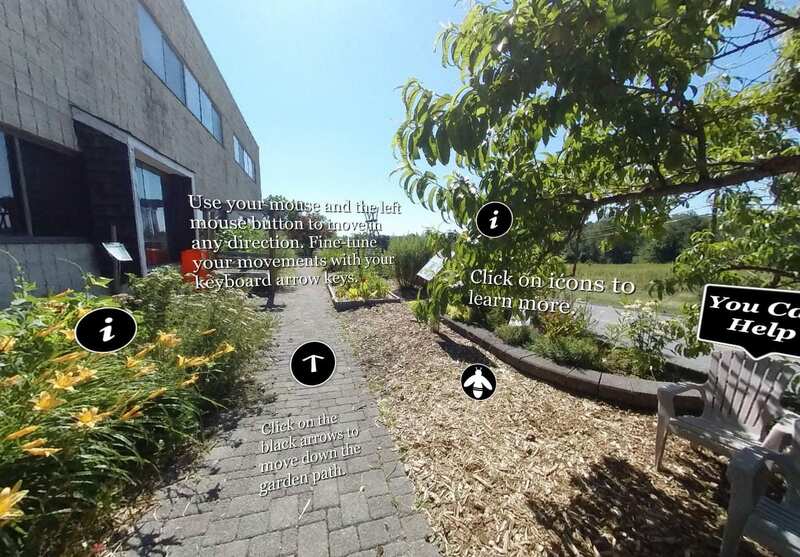 Visit a real pollinator garden with this virtual 360 degree tour. In this curated experience, suitable for youth and adults, go on a pollinator insect hunt, or learn about the threats to native and non-native pollinators. Master Gardener Volunteers will help you make decisions about plant and landscape choices that support pollinator abundance and diversity. This is just one of the resources we are pleased to provide to help you help pollinators. Congratulations to the crew at CCE Putnam for this unique resource!